Make running a bath a real pleasure with the GROHE BauClassic single-lever bath mixer, which conceals 21st century performance within its handsomely traditional shape. The wall-mounted, exposed bath mixer lets you switch effortlessly between the bath and shower. It features an adjustable flow rate limiter with a minimum flow rate of 2.5l/min. Operation is via a solid metal lever handle. 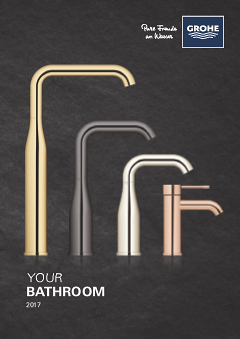 Internally the GROHE LongLife ceramic cartridge delivers reliable volume control and durability. And thanks to the sparkling and hardwearing GROHE StarLight chrome finish this bath mixer will stay looking immaculate for years to come.